The breakthrough was driven, as it so often is, by fear. 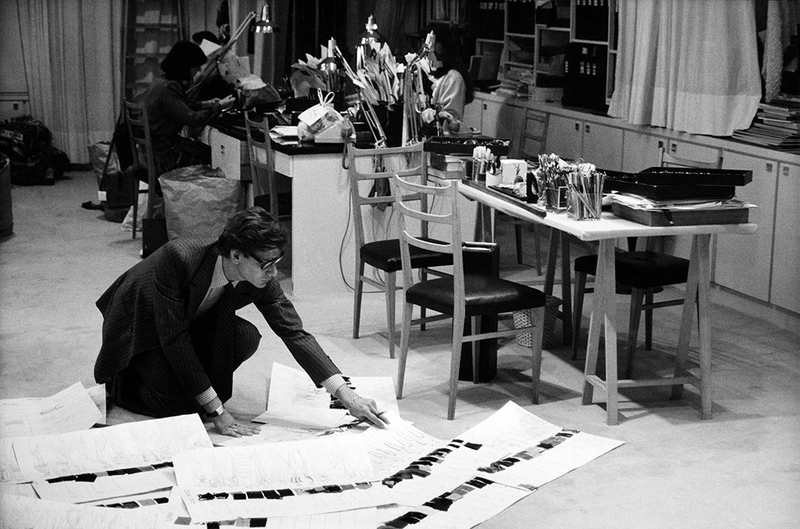 Yves Saint Laurent, not yet 30, was putting together his couture collection for the fall/winter of 1965. The previous year’s presentation had not proved popular and the pressure was on. But the new work just didn’t seem new – or not new enough. 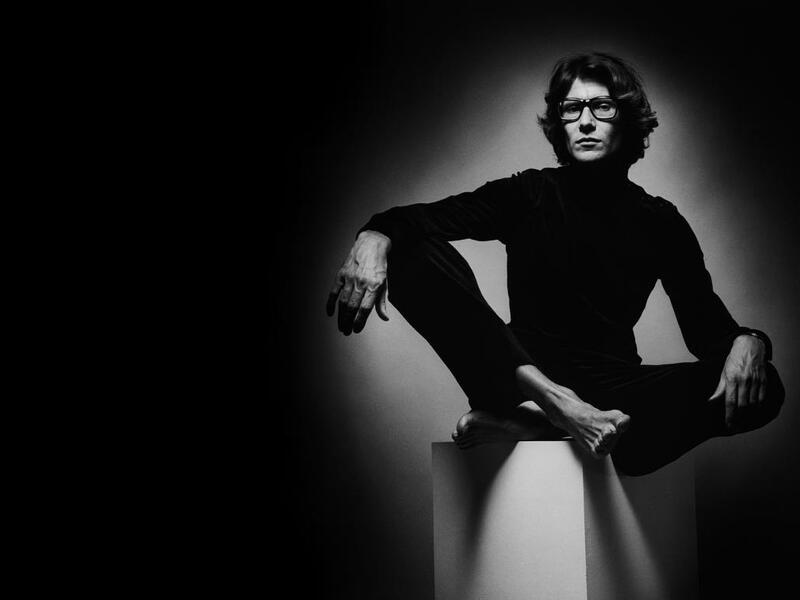 Then, two weeks before the final défilé, Saint Laurent hit upon an idea, inspired by a Christmas present from his mother – a book about the Dutch artist, Piet Mondrian, the giant of geometric abstraction. 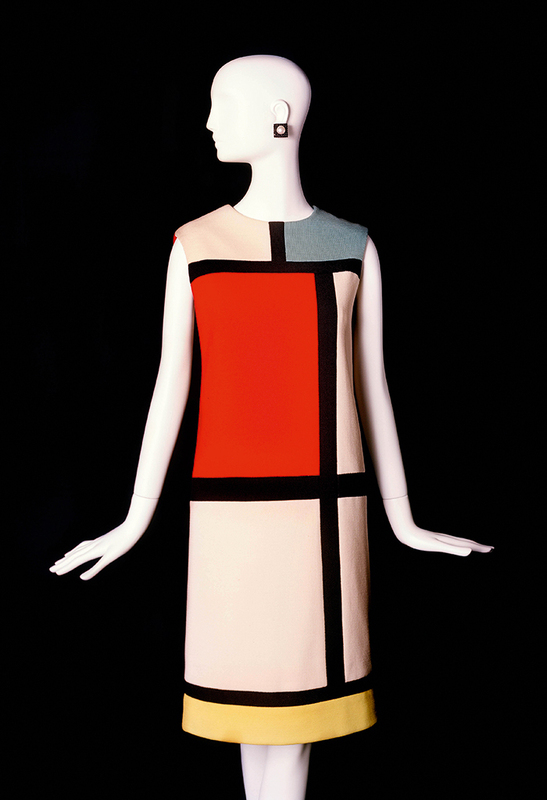 Mondrian might have been long dead, but Saint Laurent saw something in his coloured squares and clean black lines that spoke to the Pop aesthetic that was flourishing across Europe and America in the 1960s. 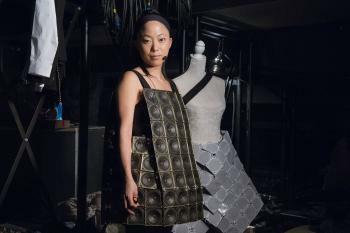 Creating a dress that had just the right effect would take ingenuity. It needed a fabric that could be seamlessly joined, precision cutting, tailoring at the shoulder that helped the dress fall in a perfect line over female curves and the tiniest of invisible stitches that neither puckered nor pinched nor pulled. Together, the designer and his team made it work. Margot Fonteyn, then the world’s most famous ballerina, put in an order within hours. Look closely at the knee-length, jersey Mondrian shift today, and it is clear that the dress was revolutionary: neither printed fabric nor squares of colour on black, it appeared to be a seamless canvas, a work of art worn by a woman. Though complex to make, it gave off an air of insouciance; it was boyish in shape, yet ultra-feminine. Western fashion for centuries had forced women’s bodies into artificial, idealised forms until Paul Poiret helped them step out of the corset in the early 1900s. After the first world war, Coco Chanel introduced free-and-easy wearable jackets and skirts. Saint Laurent, from the mid-1960s, went further. He raided the armoir of men’s clothes, be they sailors, dandies or big-game hunters, bending his discoveries to his will and repurposing them for women. Dressed in his signature clothes – the shift, the working sailor’s caban redesigned as the pea-coat with its huge jewel-like buttons, the black-velvet tuxedo, the belted safari jacket and the elegant trench – Saint Laurent’s women projected the same attributes as men. 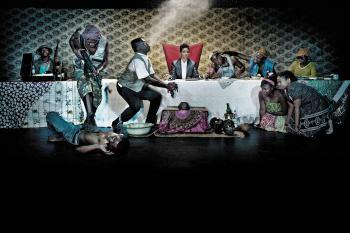 They were economically independent, the clothes said, and socially and professionally equal. They could move freely. If Chanel liberated women, Saint Laurent gave them power. It was a step forward for the women who wore his clothes and a giant leap for womankind. Now the story is to be told in two new museums dedicated to the designer, funded by the Fondation Pierre Bergé-Yves Saint Laurent. They open in October. The first is in Paris – where Saint Laurent and Bergé, his partner (who died on September 8th), opened their maison de couture in 1961 – and the second in Marrakech, their spiritual home. Between them they will house 7,000 textiles, 8,000 sketches, 8,000 accessories and 15,000 documents: in all, 38,000 objects that the two men collected obsessively. 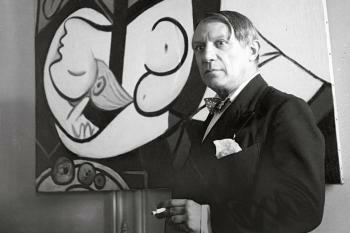 They always had in mind the idea of opening a museum of the designer’s work, the first of its kind anywhere in the world. Sketches in hand, Saint Laurent would return to Paris and the atelier in the elegant townhouse on the corner of Avenue Monceau which will be home to the Paris end of the museum. There, skilled cutters began by making paper models, or toiles, the bud of all couture clothes. In his long studio, lit by three tall windows facing west, Saint Laurent worked at a slim glass-covered bench, turning from time to time to reach for one of the hundreds of art books that lined the wall behind him. Visitors will be able to see the studio, with his heavy glasses on his desk, his colour samples in wax pastels and his photographs of Catherine Deneuve, Christian Dior, Henri Matisse – all inspirations in their way – and his four successive French bulldogs, each named Moujik. It was here, too, where Saint Laurent would see his clothes come to life. 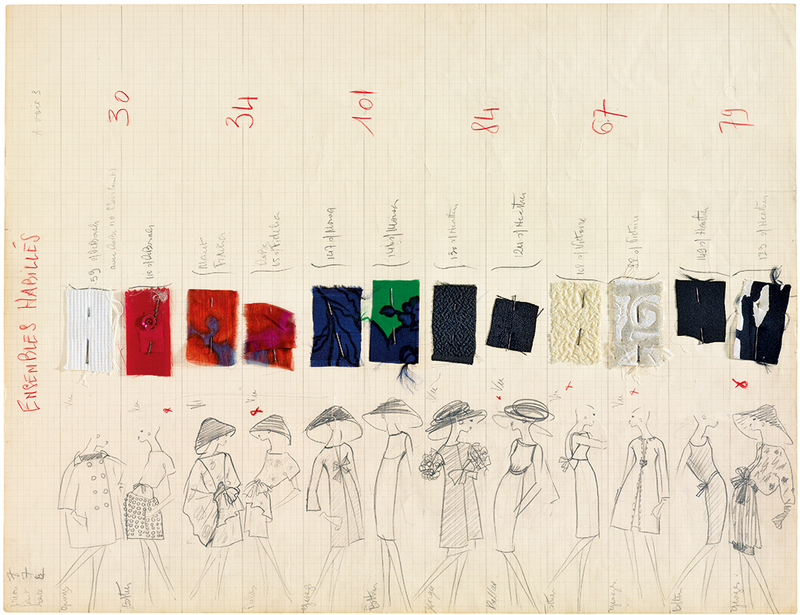 After quickly sketching an outfit, he would make notes about fabrics, accessories, even which of his models would show the finished garment. She would enter the studio from a door at the far end; as she walked down the room, Saint Laurent would watch in a mirror that covered the end wall. His eye needed that perspective, that bit of distance, before he could make the final call. In the grand room on the main floor is a panorama of his many decisions; history as seen through the eye of Yves Saint Laurent, with its echoes and influences, from classical Greece, through the Renaissance and on to the 20th century. Thanks to Olivier Flaviano, the director, and Aurélie Samuel, the curator of the collection, what visitors will also get is a sense, in a way they never can with couture clothes, of the detailed underpinning of Saint Laurent’s vision and creations: the visible tributes to artists such as Matisse and Van Gogh, as well as Mondrian; the inspiration of China, Russia and Africa; the intricate and detailed work of thousands of artisans who make berets and buttons, embroidery and artisanal metalwork. 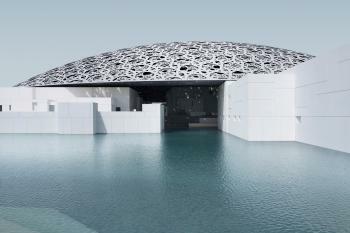 Dior, Chanel, Hermès and Louis Vuitton are all said to be considering opening museums of their own. YSL has set the bar very high.